Home Showbiz Bollywood Sonam Kapoor signed for Amrita Sher-Gil biopic? Sonam Kapoor ready for biopic? The last biopic Sonam Kapoor was seen in was Rakeysh Omprakash Mehra�۪s ��Bhaag Milkha Bhaag�۪ (2013).�� Though in a small role, the actress won much appreciation for her work in that film.�� Rumours are now doing the round that she has signed a biopic on the life of one of India�۪s most celebrated artists, Amrita Sher-Gil. 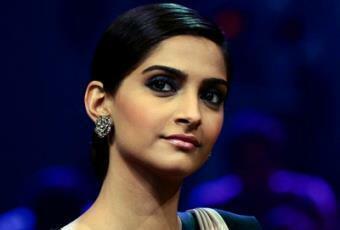 ���Sonam will play Sher-Gil, an eminent painter of pre-independent India. The actress is in talks with the artist�۪s family and work on her life story has already begun,�۝ a source told Mid Day. Though details on who is producing and directing the film are not yet known, it can be noted that Sher-Gil happens to be the great-aunt of actor Jimmy Shergill. Kapoor will first be seen in Disney India and Anil Kapoor Films�۪ ��Khoobsurat�۪, opposite Fawad Khan, which is slated to release on 19th September.